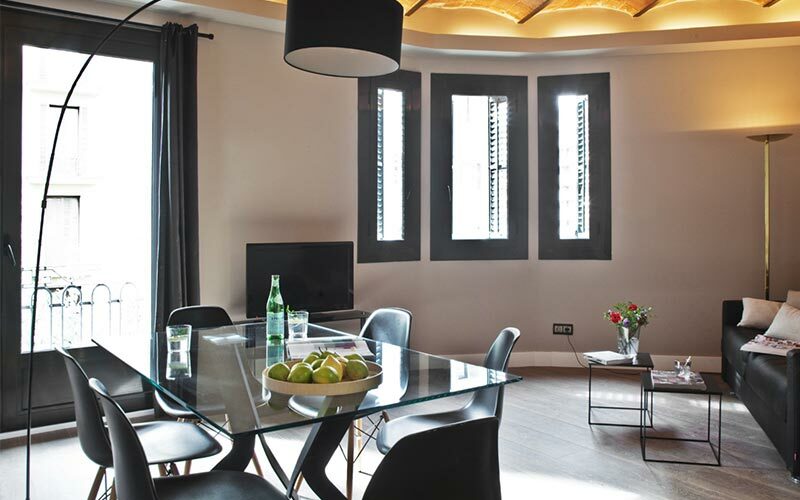 Barcelona really is a city of two halves and it's the same with the accommodation. 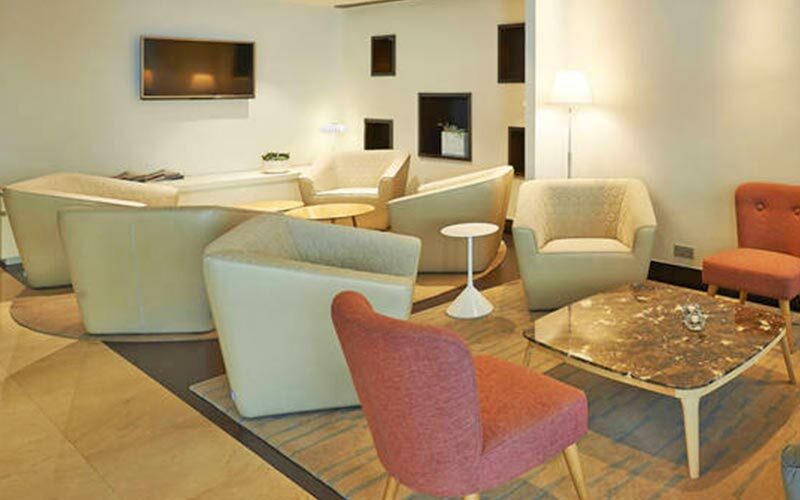 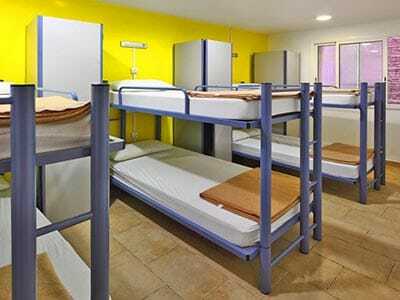 There's extremely high-end, 5-star hotels and budget hostels in the centre, so take your pick. 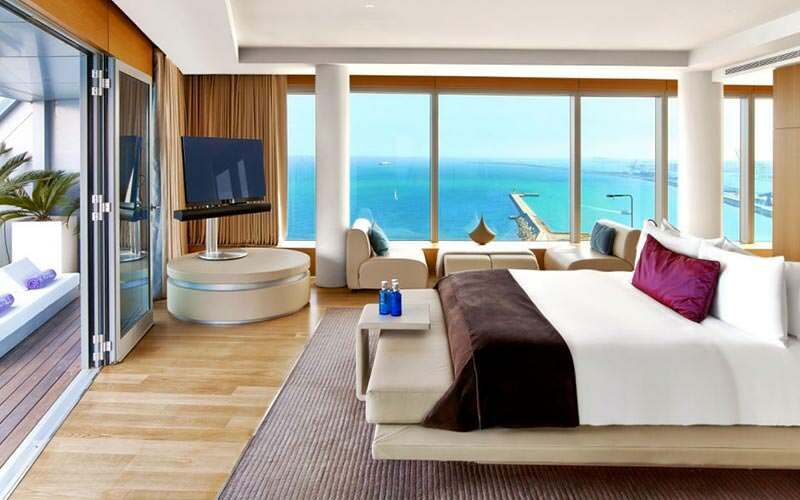 Get panoramic views of the Med in this striking hotel. 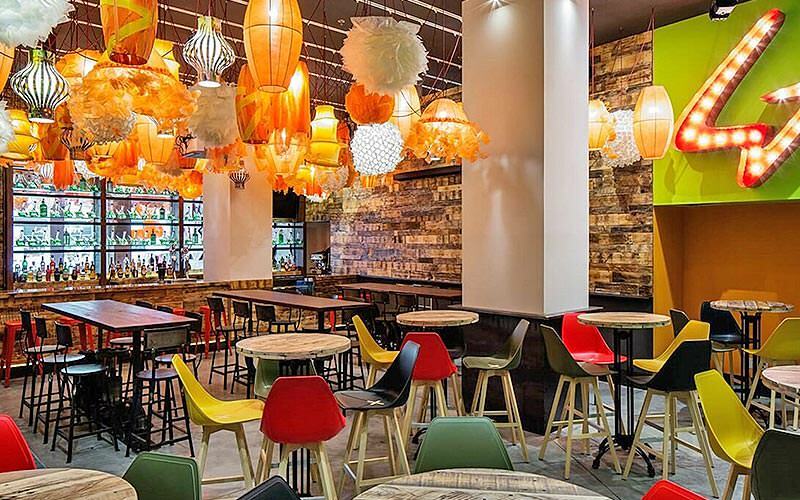 Salt - mix and mingle with innovative burgers and perfectly matched cocktails, plus shared plates and guilty pleasures. 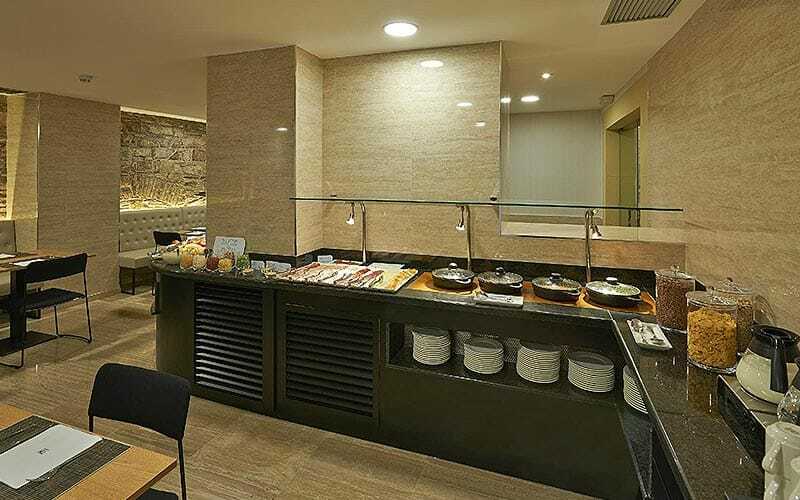 Wave -serves up an eclectic mix of flavours from Spanish and Mediterranean tapas to an extensive menu of fish, poultry and meat. 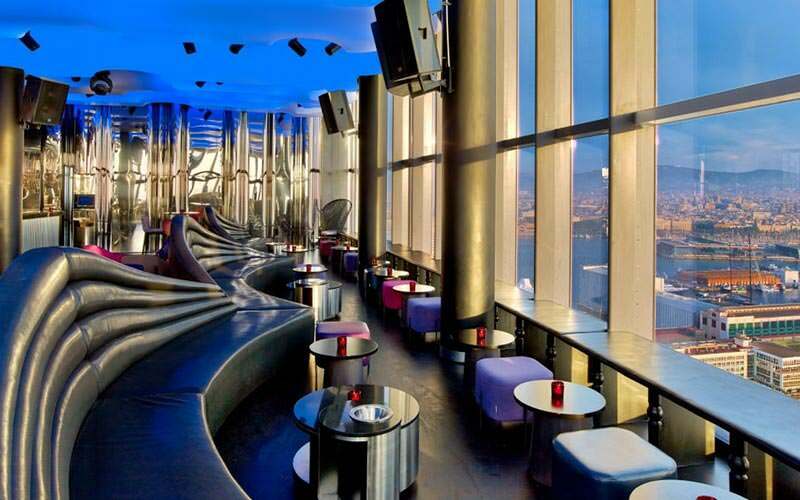 Eclipse - An exclusive top-floor cocktail lounge & sky bar boasting panoramic views over the sea and Barcelona. 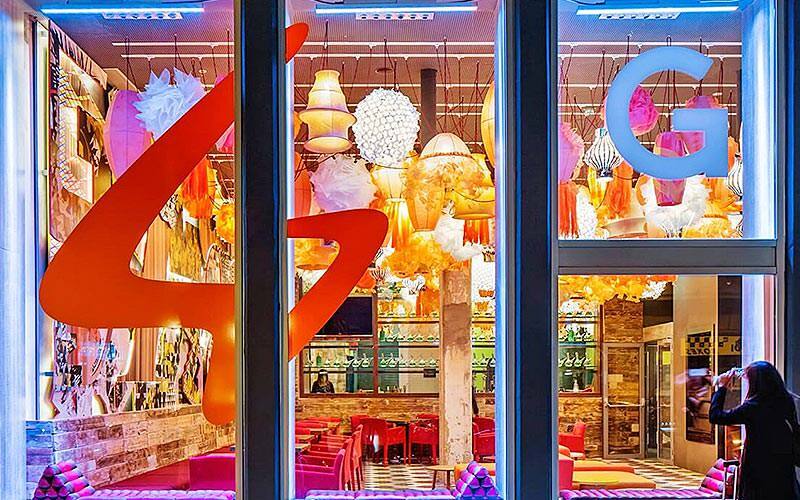 A unique setting in the city for pre and post dinner drinks accompanied by Asian Fusion cuisine. 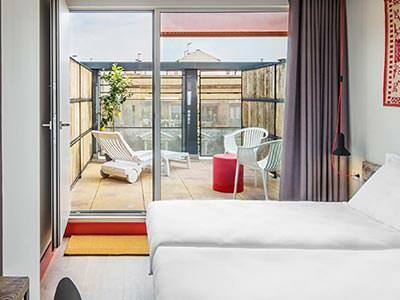 Set in Barcelona's Financial District; get a peaceful sleep (handy) on your stag or hen weekend. 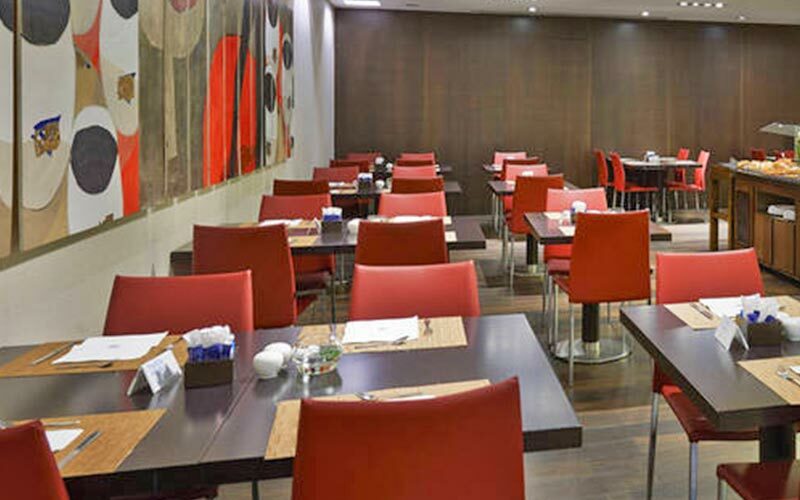 Canela - serving excellent Mediterranean cuisine with a varied daily menu and an exquisite selection of rice dishes. 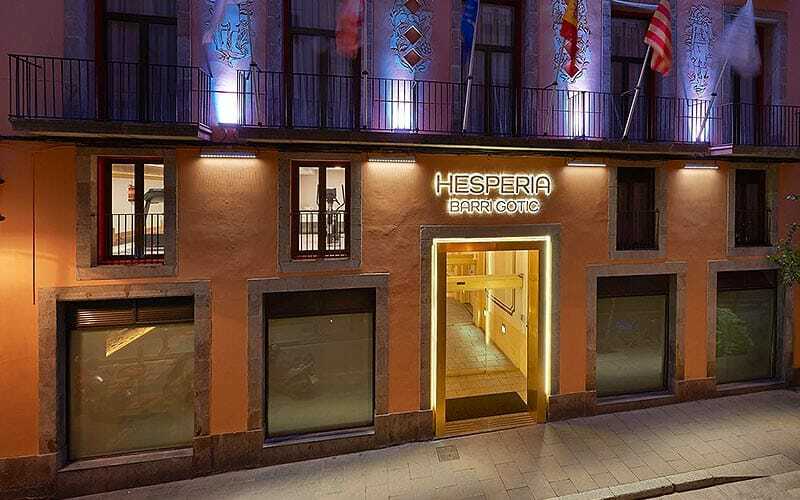 Felipa - serves a selection of excellent tapas and other dishes, as well as cocktails. 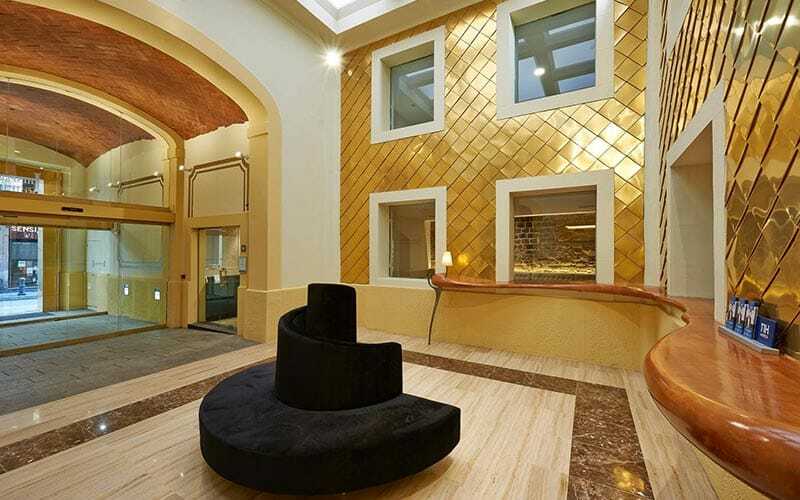 This recently completely renovated, 3-star hotel is a spot on venue for your stag or hen weekend. 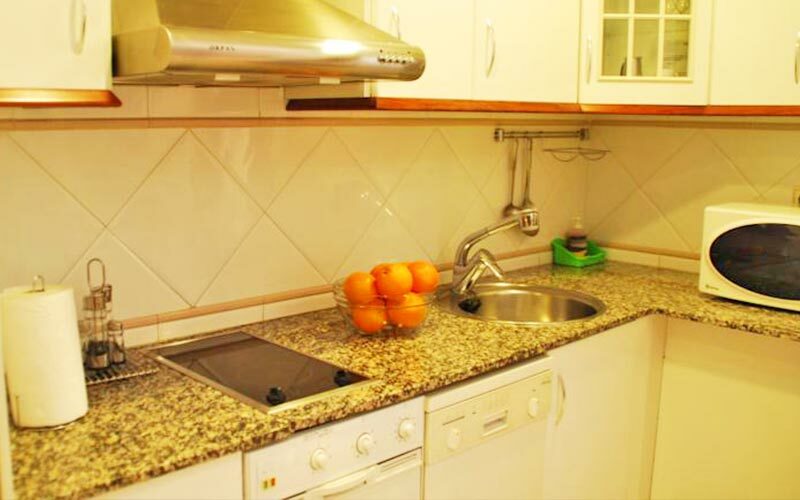 These gorgeous apartments are super central, located in the Avenida del Paralel. 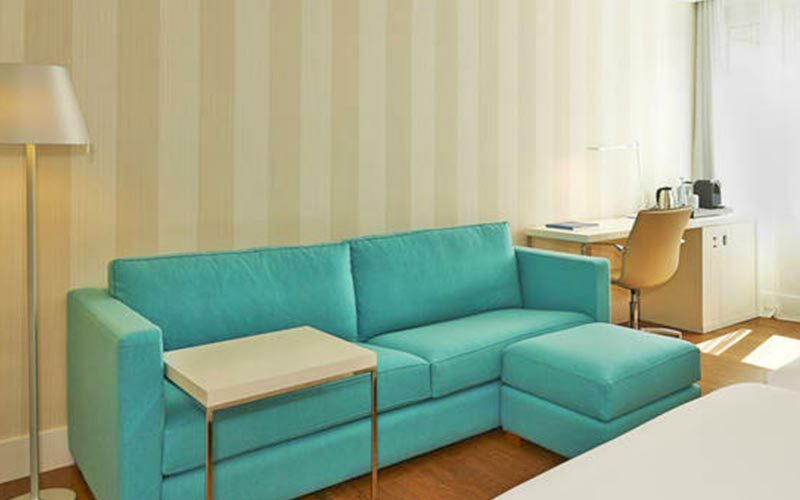 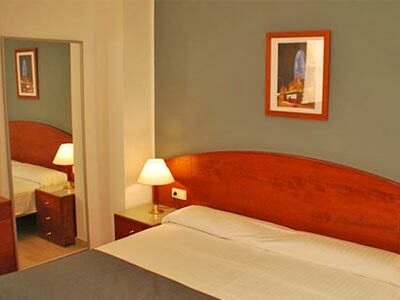 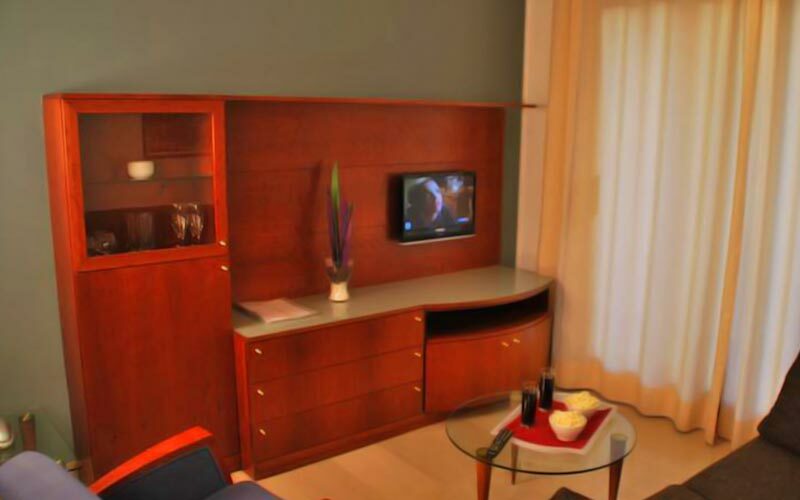 Enjoy a comfy stay in a fantastic aparthotel. 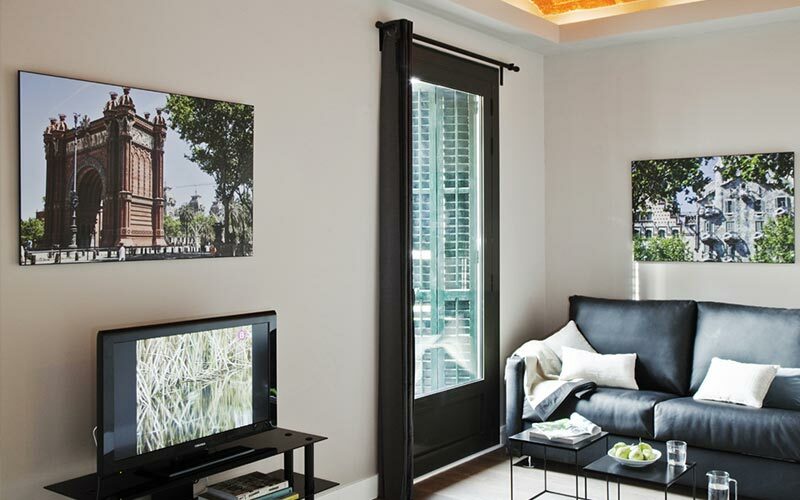 Rest in style and comfort on your weekend with these fantastic apartments. 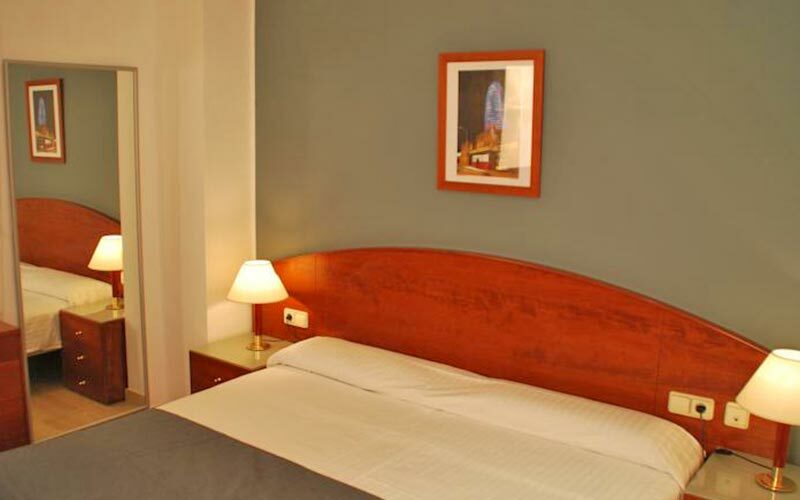 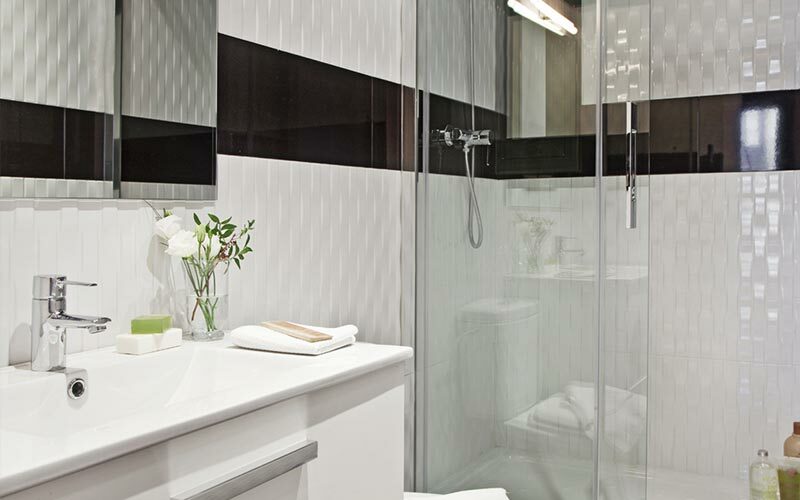 Stay next door to the world-famous La Rambla. 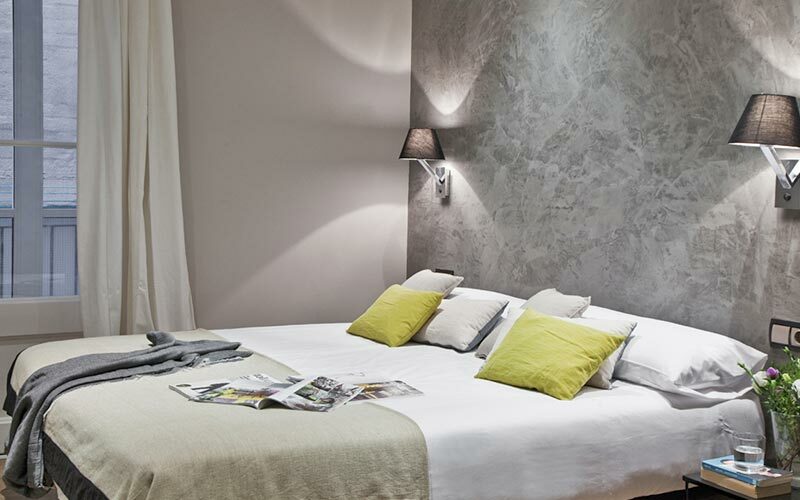 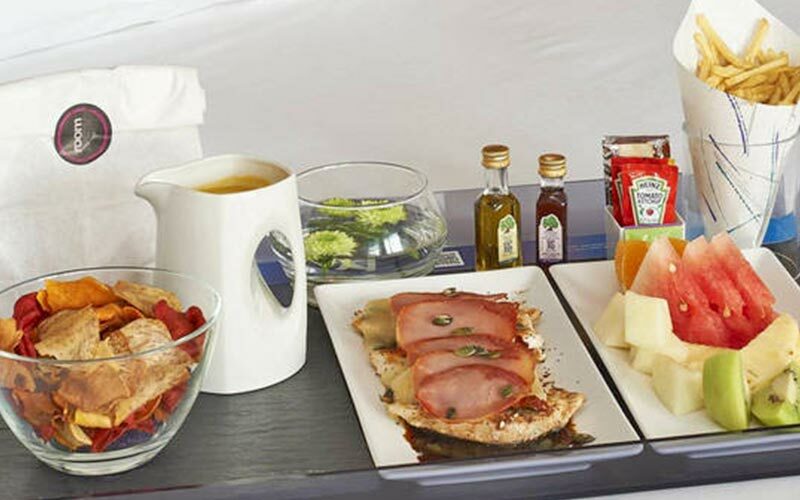 Stay close to the stylish Passeig de Gracia Avenue on your Barcelona weekend. 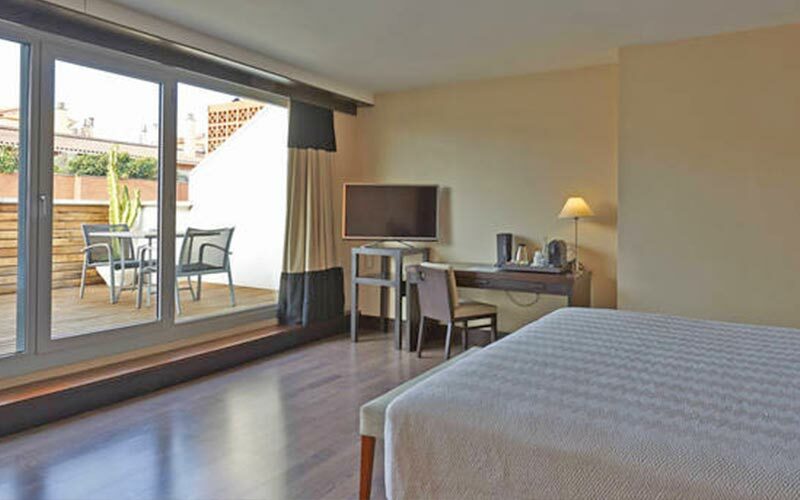 Which Types of Accommodation are Available in Barcelona? 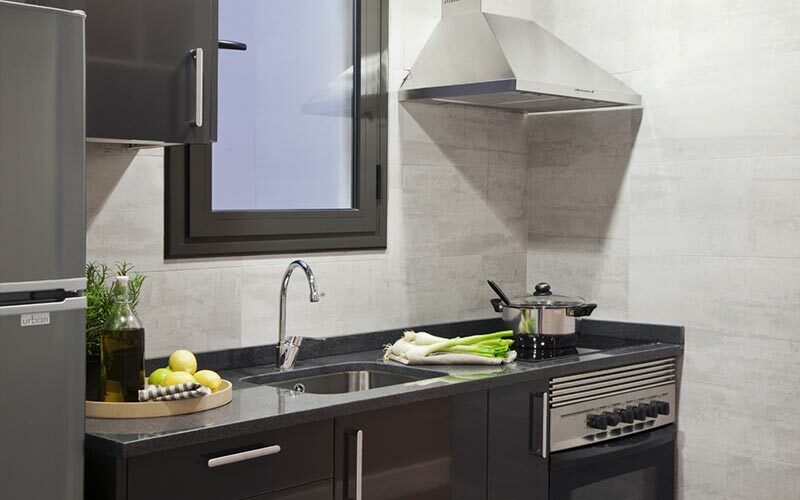 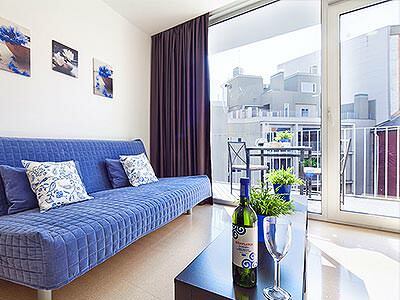 When it comes to top accommodation options for you stag do, we offer everything from 5-star luxury on the seafront of Barcelona, to cheap and cheerful apartments in the city’s most vibrant thoroughfares. 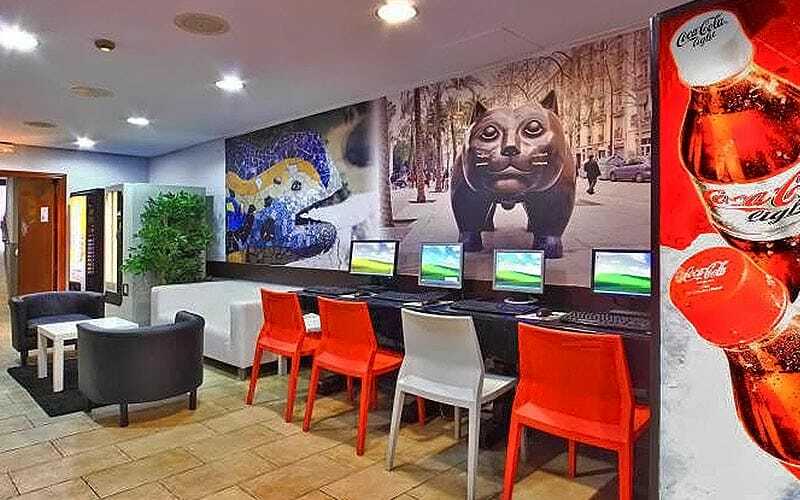 With many different accommodation choices in Barcelona, it’s safe to say there’s something to suit every stag group celebrating here. 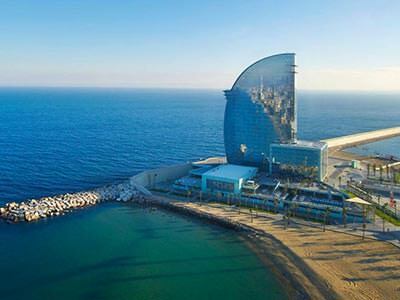 Perhaps the most impressive hotel in the whole of Barcelona has to be W Hotel; not only does it give stags 5-star luxury and a truly unique stay, but it’s an iconic landmark in its own right. 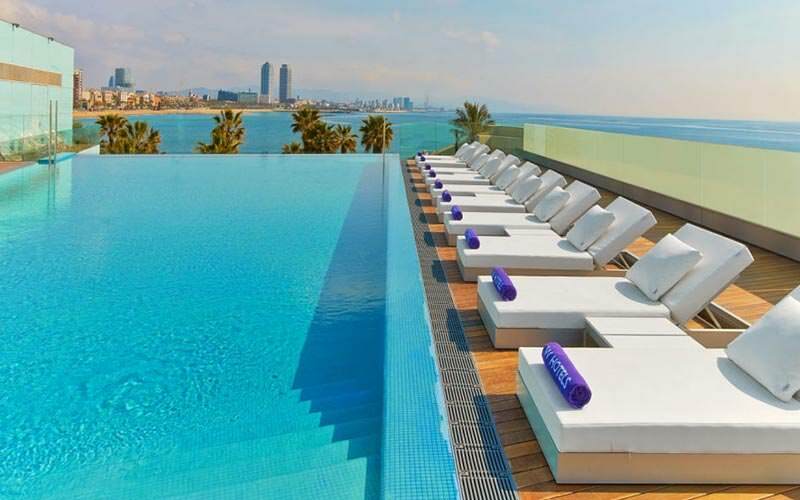 The instantly recognisable, sail-like structure is right on the beach, and offers panoramic views, an infinity pool, rooftop bar and, as expected, ridiculously lavish rooms. 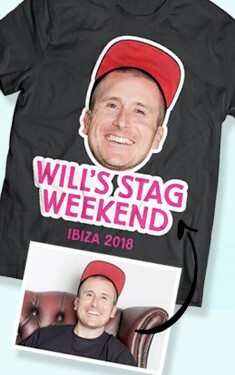 If W Hotel is a little over budget, we don’t blame you, which is why we have a wealth of more affordable hotels, apartments and hostels just waiting to be explored on your stag weekend. 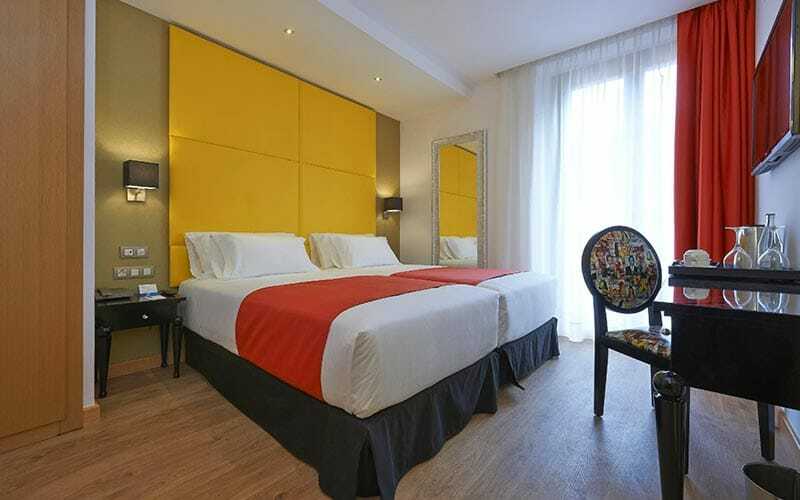 If you’re hoping to be based around the central thoroughfare, La Rambla, with its tourist attractions, markets, shops, bars, restaurants and nightclubs, we have a huge range of central options. 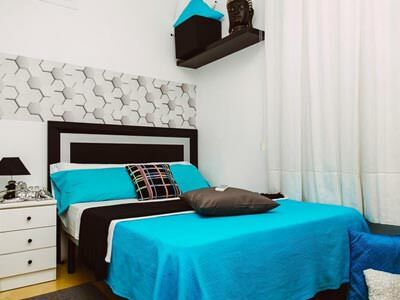 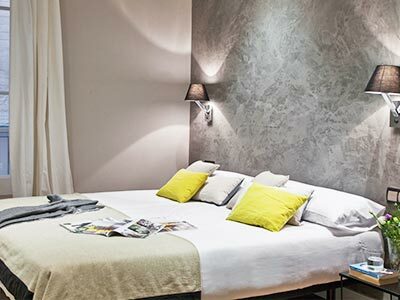 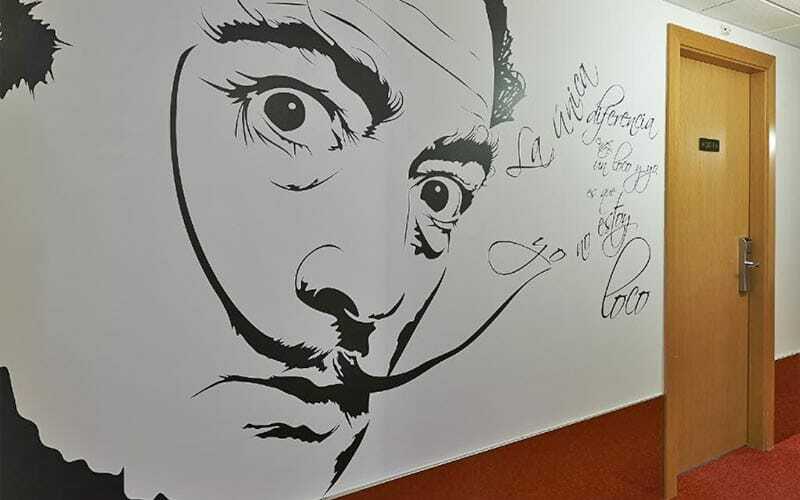 Spanning from Placa de Catalunya, all the way to the city’s port, you’ve got Mur Mur Apartments, Barcelona House, Hotel Hesperia Ramblas and the aptly named Ideal Hostel, all just off La Rambla. 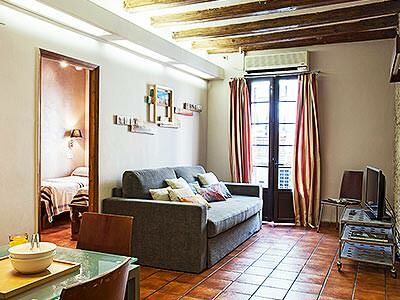 The quaint Roma Real is located just off La Rambla, in Placa Real (which has been used as a backdrop in many films), and offers a great spot to dump your bags and get out and onto that Sangria. 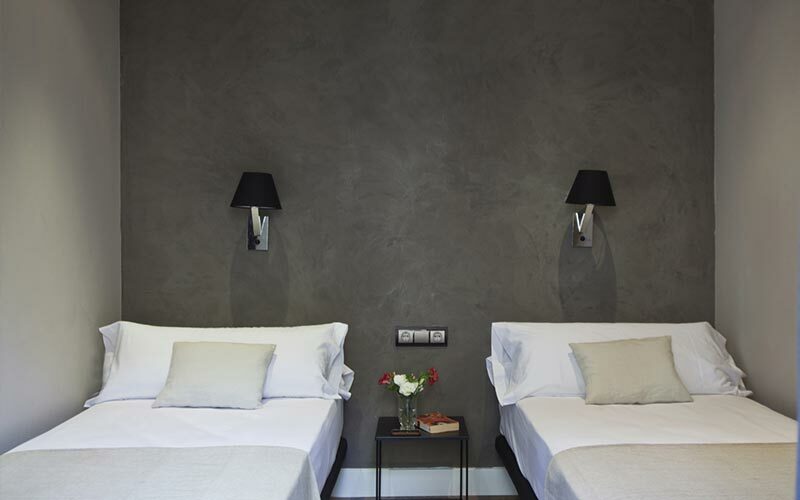 If you’re into your quirky hipster bars and restaurants spilling out into laid-back, central squares, we recommend a stay in Barcelona’s Gothic Quarter. 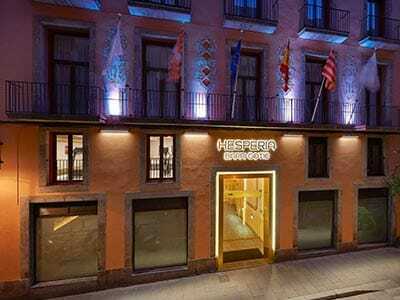 Our top picks here are the 3-star Hotel Hesperia Barri Gotic and Hotel Suizo, all within the heart of this unique district. 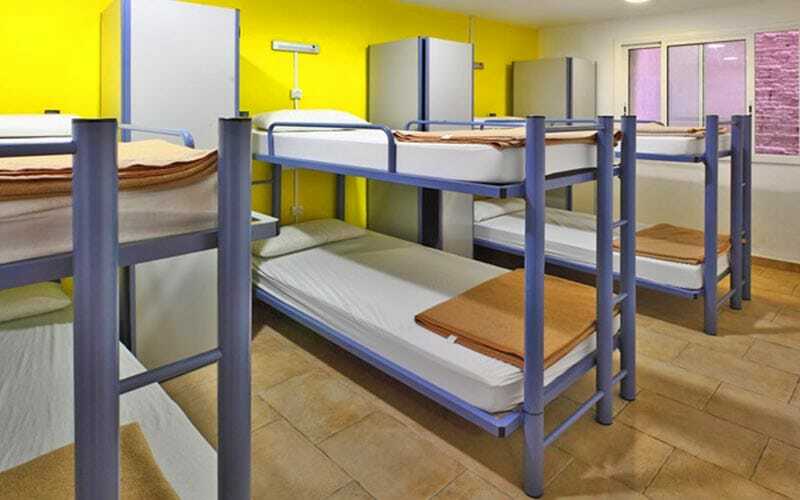 We pride ourselves in choosing the very best accommodation for our groups, taking into account all manner of variables, including distance from the centre of Barcelona. 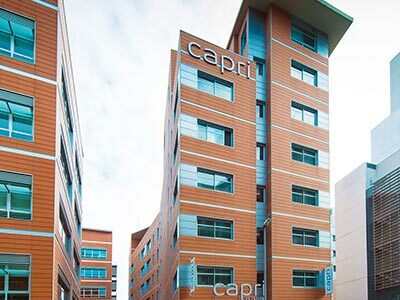 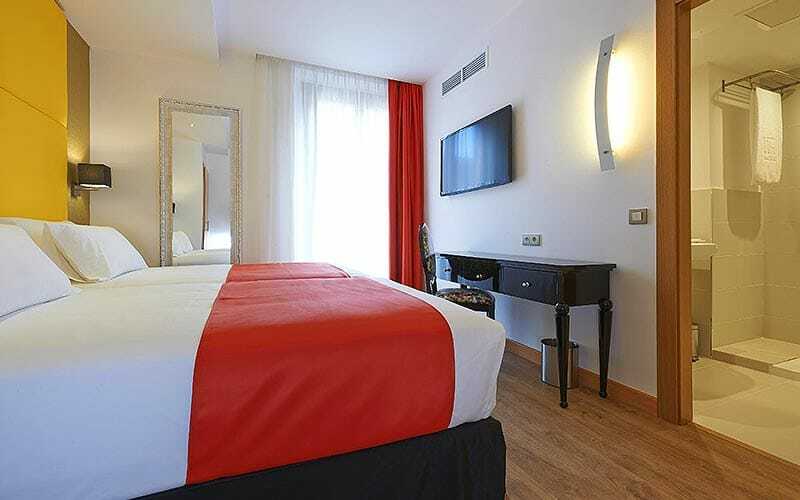 Although the majority of our accommodation options are located just minutes from Barcelona’s main thoroughfares, a few options are slightly further out. 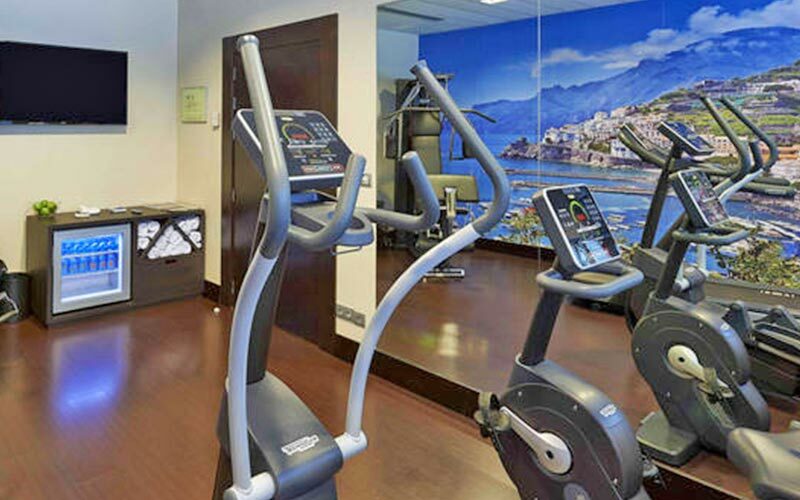 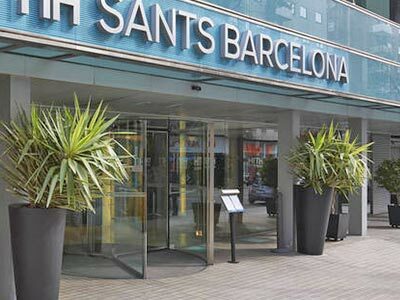 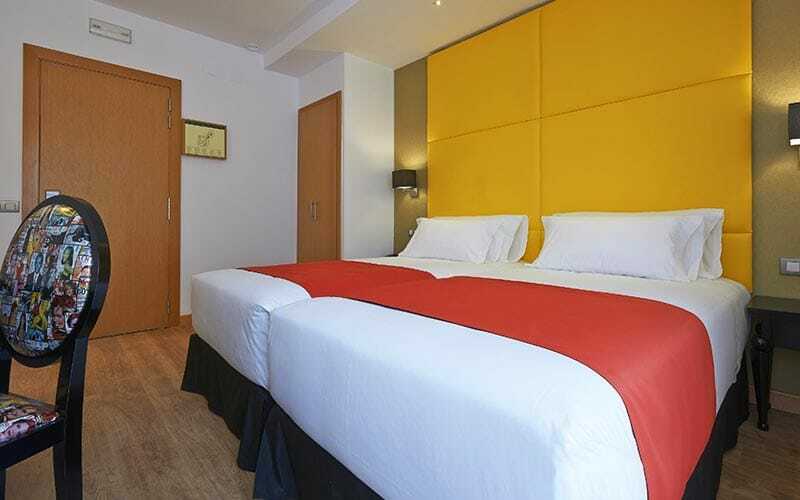 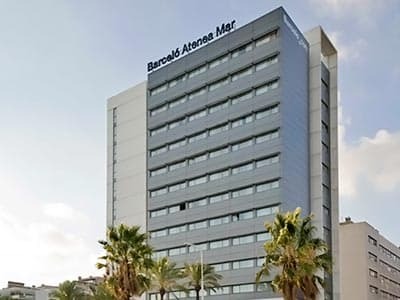 For example, Hotel NH Barcelona Stadium is perfectly positioned if you’re heading to Nou Camp, but will take 20 minutes in a taxi to the centre of La Rambla. 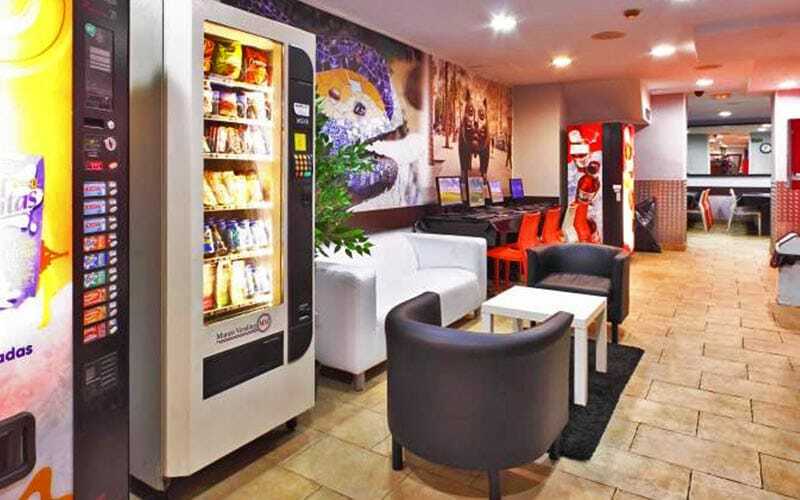 Euro Hotel Diagonal Port is also one hotel we offer which is slightly out of the central hub of Barcelona, but positions you very close to the well-known late-night superclub, Razzmatazz. 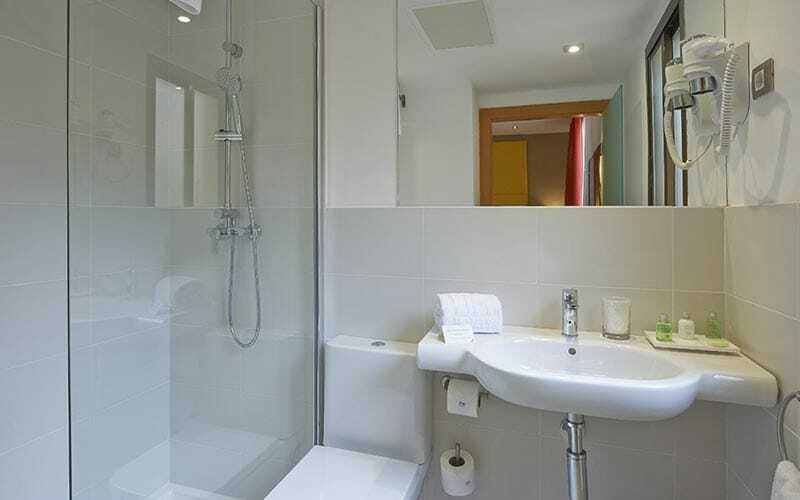 Don’t worry though, a pre-booked taxi of this duration should only cost you a maximum of €12. 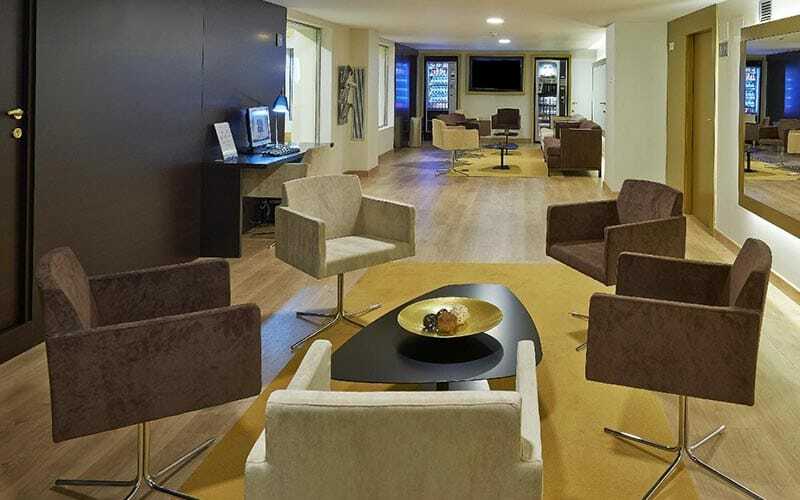 We send hundreds of stag groups to Barcelona each year on their final send-offs, which gets us special availability in the accommodation that we offer. 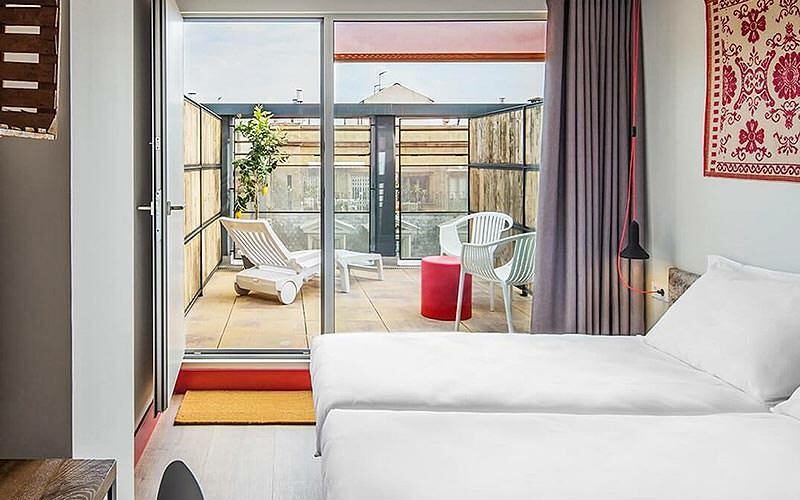 This means that usually you can get accommodation sorted without any issues, but your sales team member will make you aware if your weekend clashes with a big event in the Catalan calendar – like Labour Day, Sonar Festival, Primavera Sound Festival and Pride Weekend. 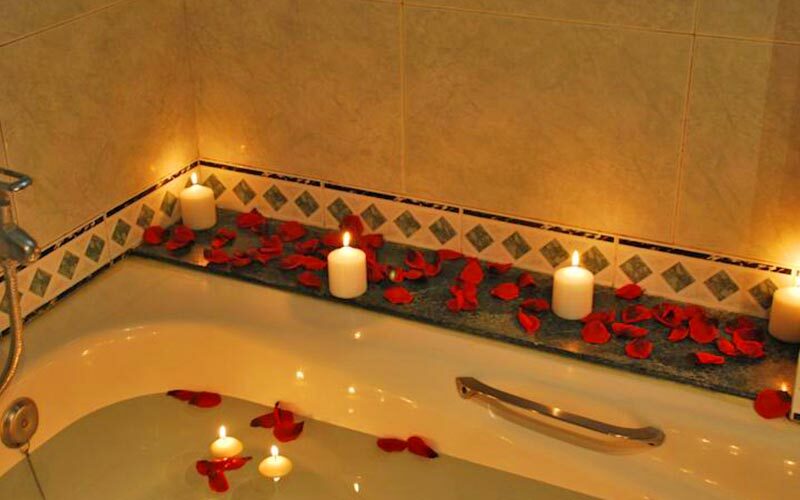 Yes, without question. 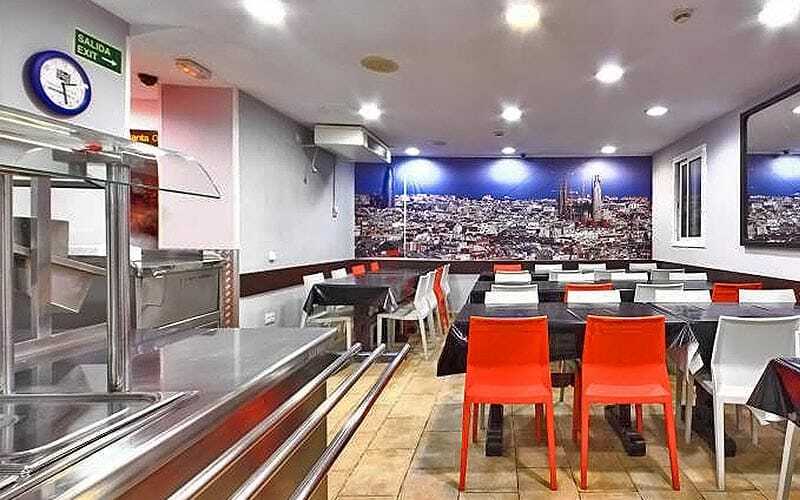 We want you to be excited about your Barcelona stag weekend, and not have to worry about losing out, should anything happen regarding your accommodation. 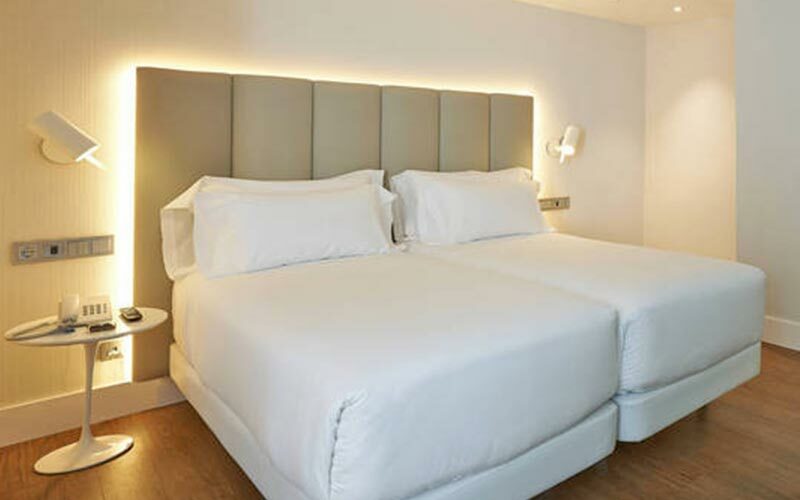 Last Night Ltd are ABTA protected (Y6354) which means that we are an accredited travel company and that you have legal protection. 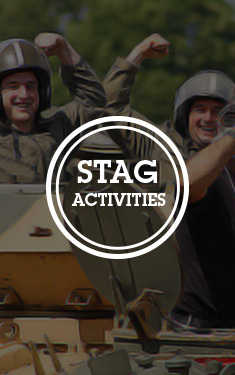 If you’d like to know more about how ABTA affects your Barcelona stag weekend, see here.